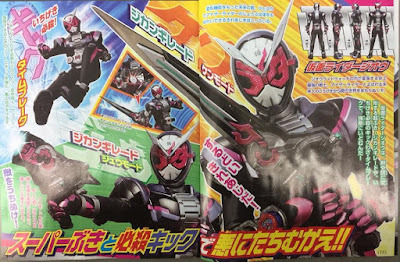 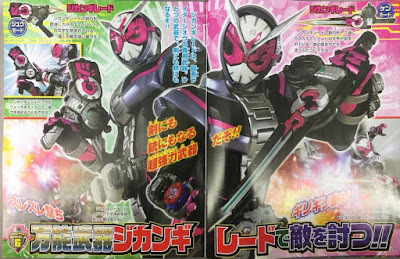 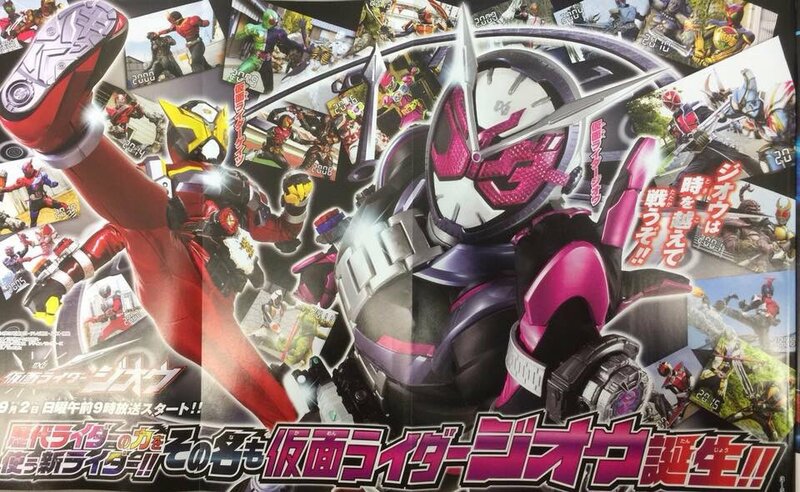 Get ready for a new era of Kamen Rider action as we bring you the newest Kamen Rider ZI-O scans taken straight from the latest issue of Televi-Kun and Televi Magazine featuring our new rider hero, his partner and their legend rider form changes! 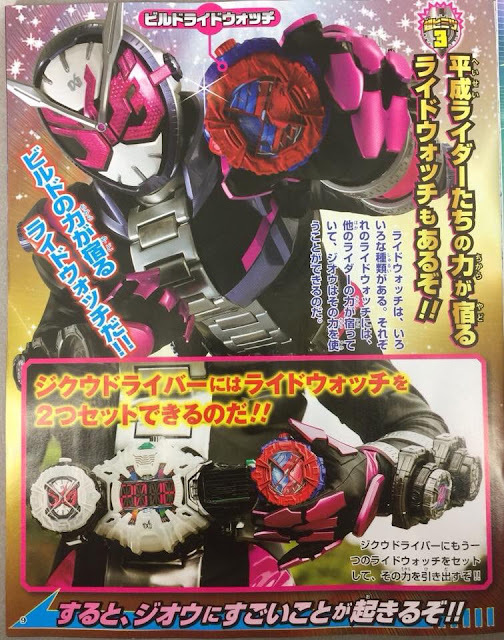 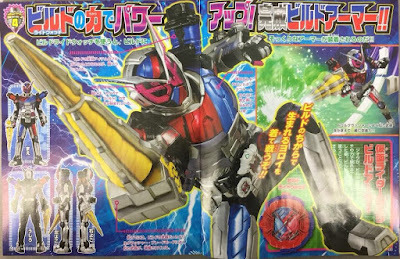 Our new hero transforms using the Jikuu Driver which uses the Ride Watch that also houses the powers of the past legend riders in which it can be used to summon various Ride Armors. 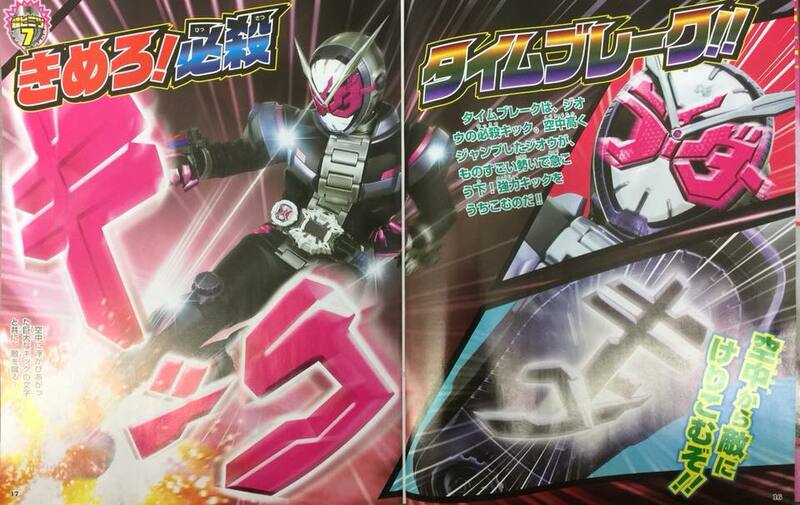 He is armed with the Zikan Grade which has 2 modes, sword and gun and can also be fitted with the Ride Watches. 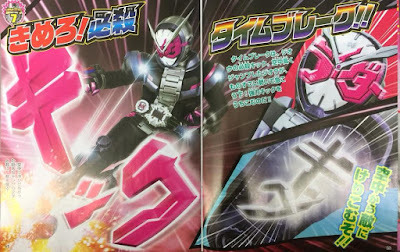 His signature Rider Kick finisher is called the Time Break. Then there's the mysterious rider from the year 2068, Kamen Rider Gates, who traveled back in time to change the future. He also transforms using the Jikuu Driver and his finisher is called the Time Burst! Both ZI-O and Gates has access to the past rider's powers that are housed in the Legend Rider Ride Watches. 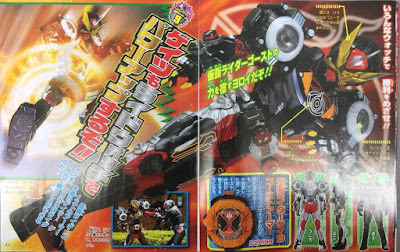 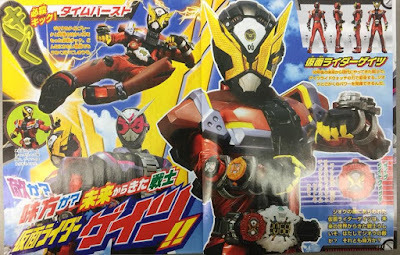 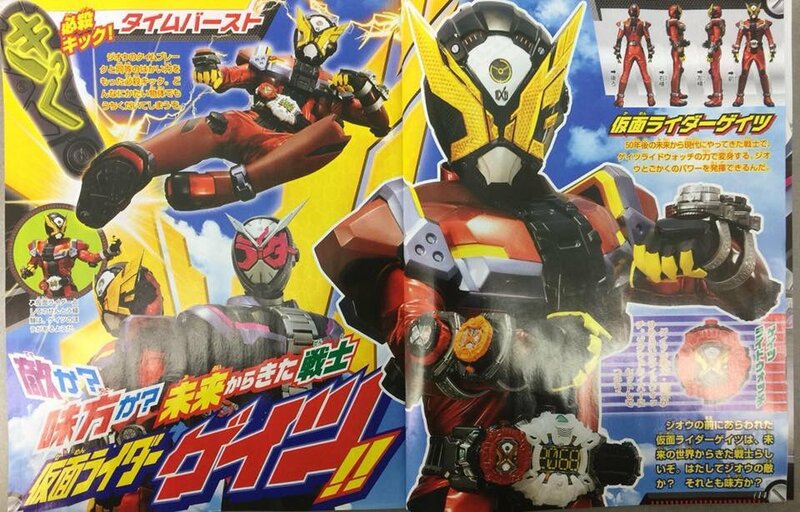 By inserting this into their individual Jikuu Driver, both new riders can use the Ride Armor which has powers derived from Kuuga up to Build! 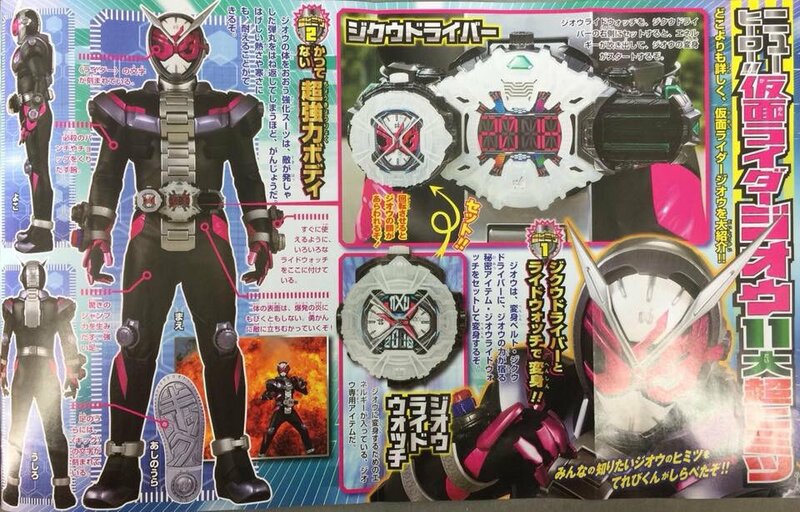 Also, both riders will use their futuristic super machine called the Ride Striker, which can be summoned by using the Bike Ride Watch! What kind of battle awaits both Riders in this new era? 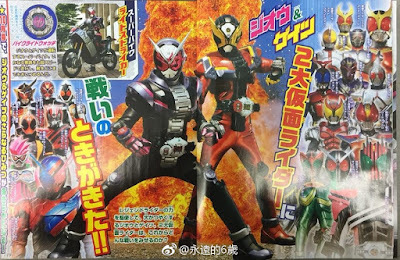 will they work together to save the present for a great future? 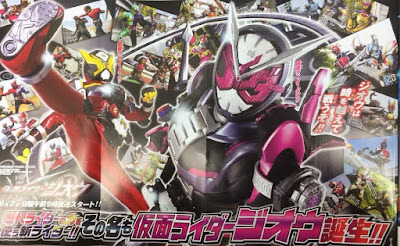 Kamen Rider ZI-O will premiere in September 2018, replacing Kamen Rider Build in the Super Hero Time slot after the series ends. 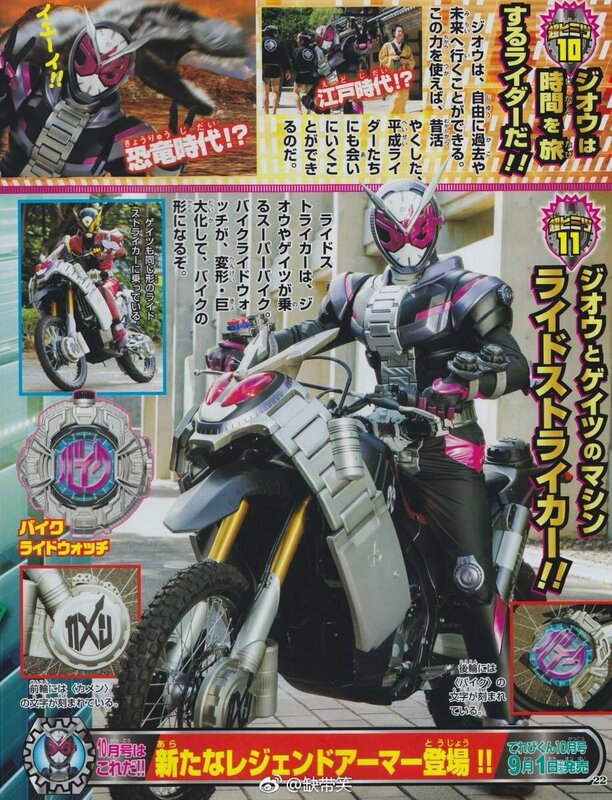 What the F is that bike!? Seriously? 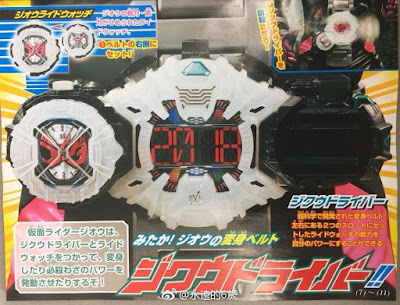 how come the decade watch is not on the poster?